Over the years, Watchuseek members have produced some impressive limited edition watches. 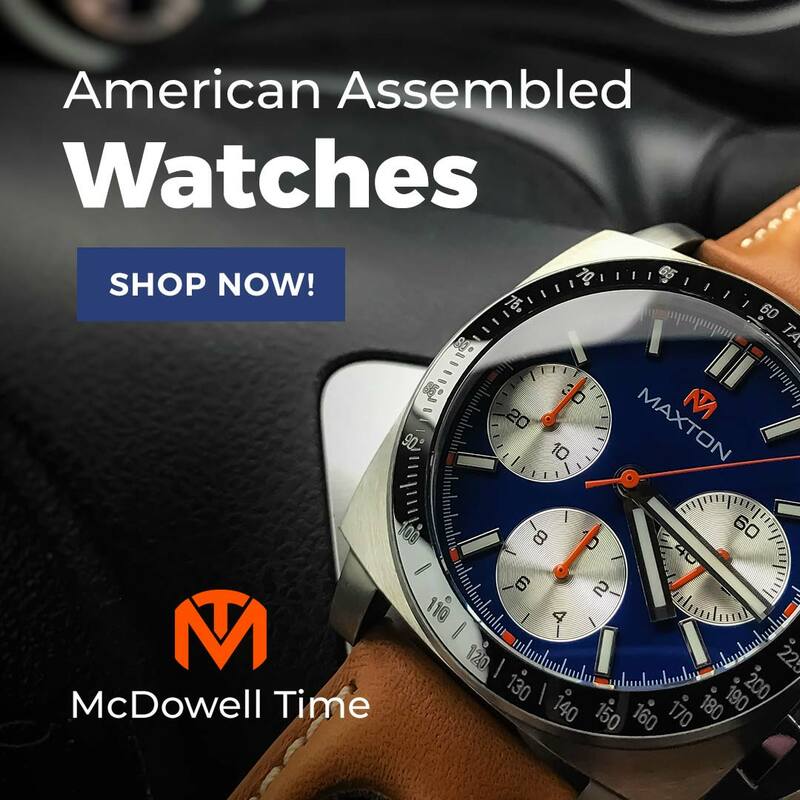 They are typically designed with significant member input and packed with all the things that set a watch nerd’s heart aflutter. The 2017 F71 Affordable Watches Forum watch is no exception. The Emperor Diver project is under the direction of a small committee including industry veteran HKEd. 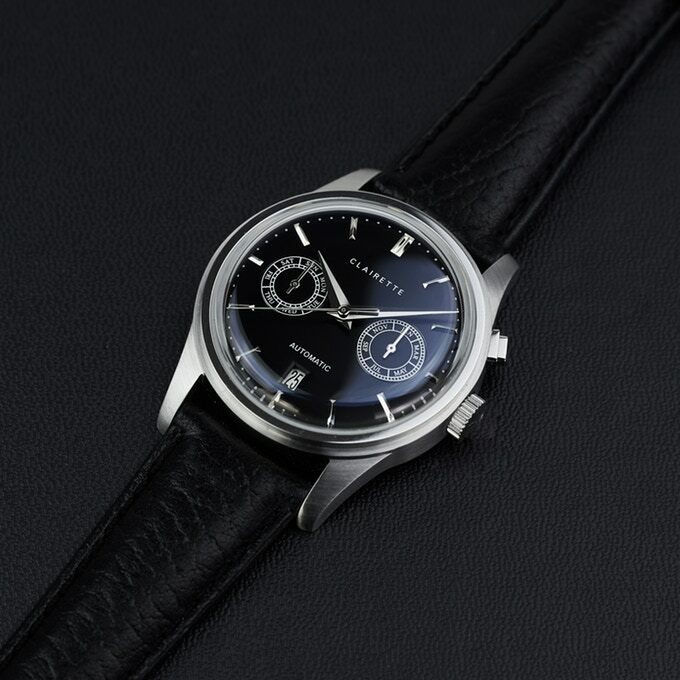 It will be 1960’s style with a 40mm case, 200m water resistance, Seiko NH35 automatic movement, beads of rice bracelet, and a voluptuous domed sapphire crystal. Dials are black, blue, or my personal favorite sunburst brown with Old Radium SuperLuminova and PVD black bezel. 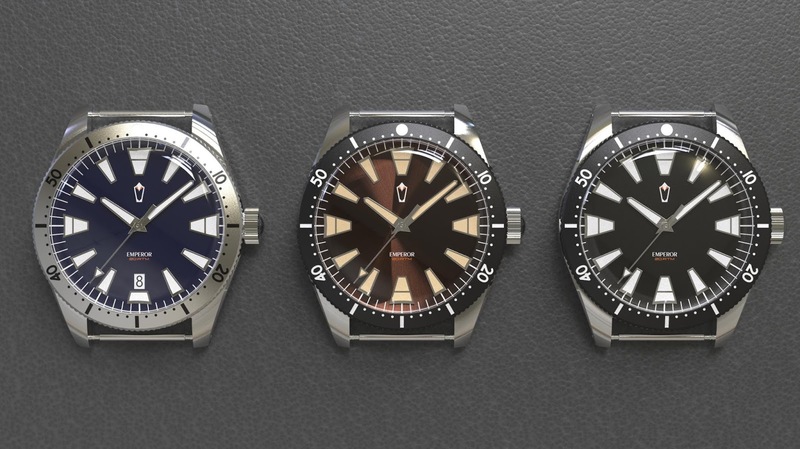 The Emperor Diver will be just $350, but it needs 100 orders to see production and as of today, they are only a little more than halfway to that goal. It would be a real shame if this one died on the vine. 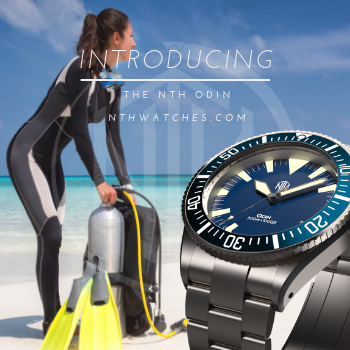 For more information and to submit your $175 deposit, visit the Vintage Dive Watch Project 2017 thread in the Watchuseek Affordable Watches Forum. 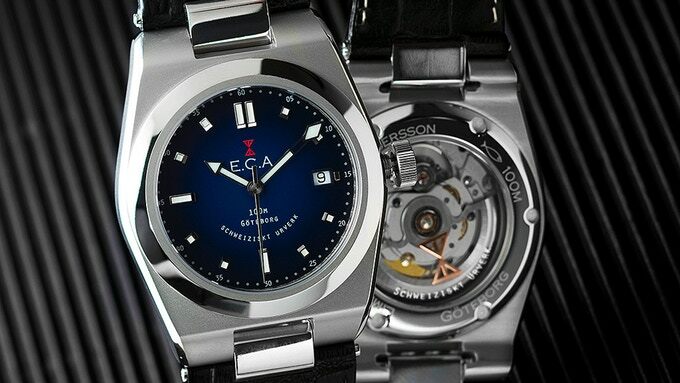 ECA calls the Calypso their first “true high-end watch.” It features a top-grade ETA 2824-2 automatic movement with a custom rotor, two double domed and AR-coated sapphire crystals, and it is water resistant to 100m. The blue dial, applied markers, and unique semi-skeletonized minute hand are attractive, but it was the case that really caught my attention. 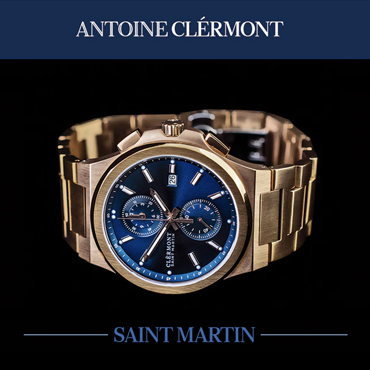 It is 40mm wide, 48mm long, and 10mm thick with a matte barrel and a fixed, polished bezel. Narrow, 12mm connector links make the case appear longer And remind me of the oversized 6 o’clock crown on the old ZRC Grands Fond, lending the Calypso a funky throwback vibe. Of course, that tiny connector means standard straps won’t fit. Fortunately, ECA provides a crocodile embossed leather strap and a nylon sports strap. An optional bracelet is in the works as well. Pledges start at SEK 9000 ($1,098 USD). See the Kickstarter page for more. The campaign ends February 8, 2018 at 5:59 pm EST. Zelos calls the ZX series "experimental," partially as an homage to the historic X-Plane Project, and partially because they have made it in some remarkable materials. 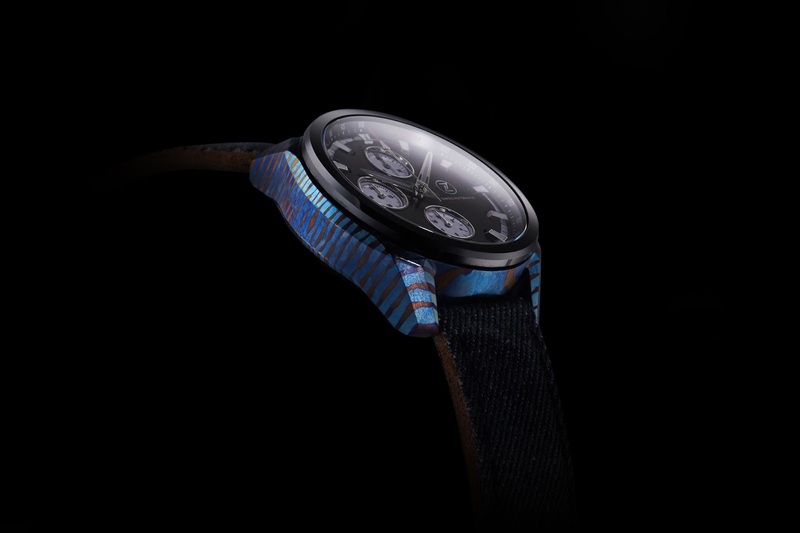 You can buy the 43mm ZX with titanium or bronze cases, but the more adventurous may try the fantastic Titanium Damascus, in which different alloys have been layered and superheated for intense, tiger-striped color. All models feature domed sapphire crystals with inner AR coating and 100m water resistance. Certain models have a ceramic bezel. The ZX series dials are no less impressive. They are multi-layered, with “rocket” semi-skeletonized hands, applied markers and BGW9 lume. 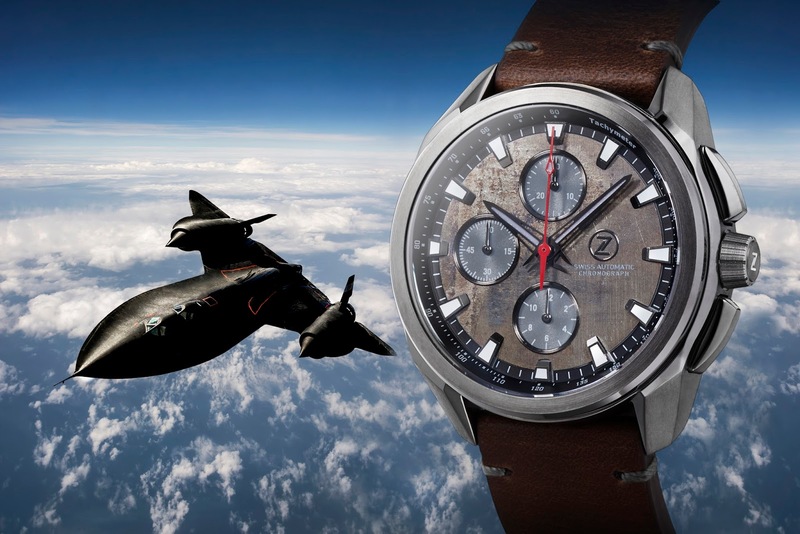 Zelos offers several sun-brushed colors, as well as meteorite, but the real show stopper is the ZX-8, made from the grade 6 titanium “turkey feather” plucked from the engine nacelle of a mission-flown SR-71 Blackbird. In contrast fo the exotic case and dial materials, ZX movements are the tried and true Valjoux 7750 or Seiko VK67 MechaQuartz. 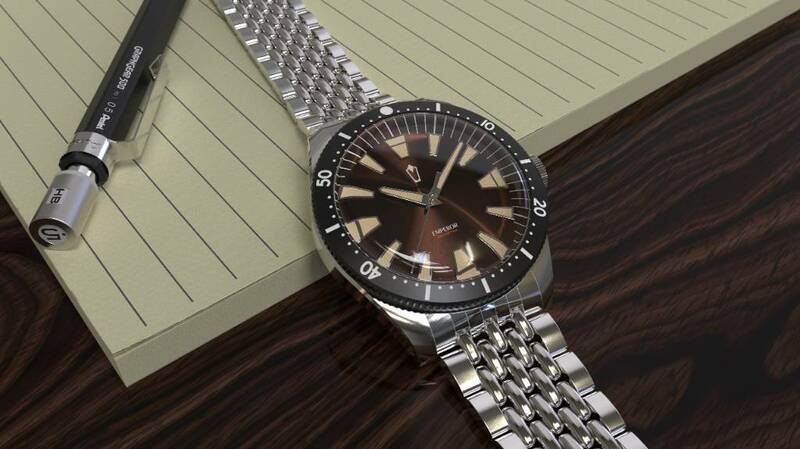 All models come on Horween leather straps and a titanium bracelet may be available soon as a $150 option. The ZX series Kickstarter campaign is nearing the end, but you can still get a MechaQuartz for as low as S$549 ($414 USD) and an Automatic for S$1,049 ($792 USD). Early Bird rewards for the ZX-8 SR-71 Limited Edition are S$2,690 ($2,031 USD). For more information or to place an order, visit their Kickstarter page before February 13, 2018, 10:20 am EST. Transylvanian microbrand Peren is back on Kickstarter with their “neo-vintage” Nera. Inspired by The Devil’s Lake in the Nera Gorges, this is a moody piece. The inky dial is set deep into a 39mm wide sandblasted stainless steel case and ringed by a matte and brushed PVD black rotating bezel. 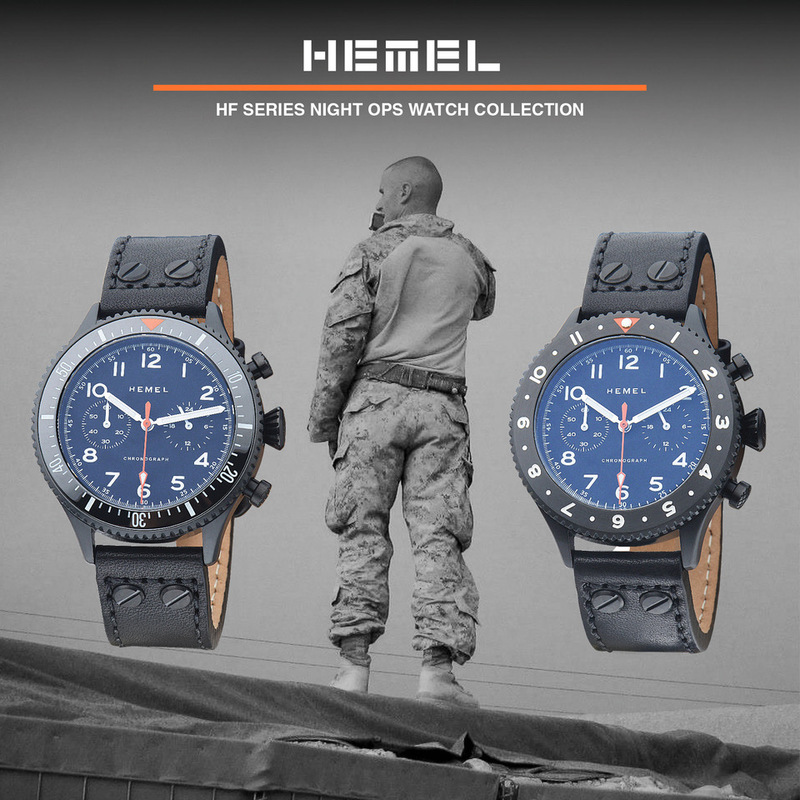 The watch has front and rear sapphire crystals, applied markers, BGW9 lume, and is rated for 200m water resistance. Inside, you will find an ETA 2824-2 automatic. The Nera starts at CHF 418 ($448 USD). See their Kickstarter page before February 27, 2018, at 10:00 am EST. The Clairette Date and Calendar Automatics are among the latest in a growing trend towards smaller, mid-century inspired watches. Using Miyota 9015 and 9122 automatic movements in slim, 37.5 - 38mm stainless steel cases, they convincingly channel a mid-century spirit. Polished and faceted dauphine hands and applied markers complement the sandblasted black or silver dial, and a tall domed Hesalite crystal completes the retro look. A 20mm Tärnsjö leather strap is standard. Early Bird rewards start at £249 ($349 USD) for the three-hand and £299 ($420 USD) for the calendar. The Clairette Kickstarter campaign ends February 28, 2018, at 5:00 pm EST. This is the latest in Manchester Watch Works’s popular Iconik Series. 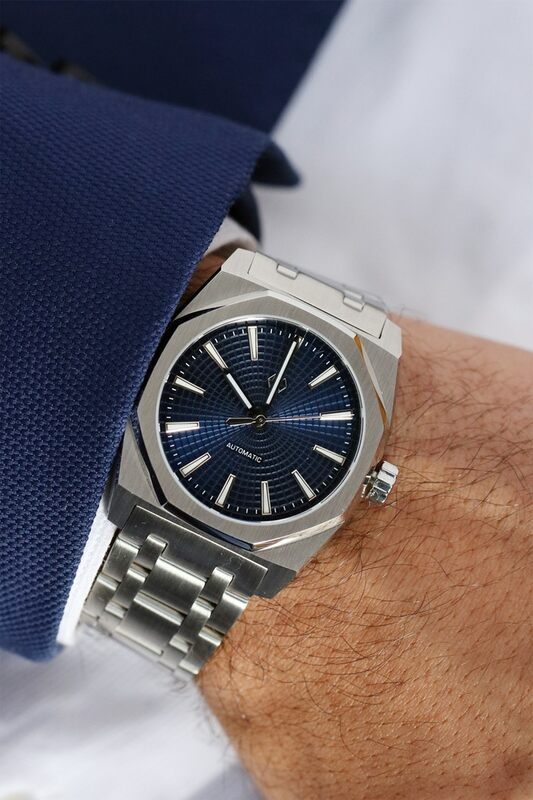 Drawing heavily on Gerald Genta’s work, the Iconik 4 matches a Royal Oak Offshore style octogonal bezel with an angular 38mm case and wild guilloche sunray dial. A Miyota 9015 automatic runs the show. The Iconik 4 features two sapphire crystals, 100m water resistance, BGW9 lume, and a 22mm solid end link bracelet that tapers to an 18mm clasp. Movements are the Miyota 9015 (date) or 90S5 (no date). As of today, you can get on board for $332. Each tier of 10 watches only goes up by $5. See the Iconik 4 Kickstarter page before 10:58 pm EST on March 3, 2018. Ferro has taken a break from large chronographs and one-handers to create the Traditum, a Swiss made dress watch with a hand winding ETA 6498 movement. At 43mm wide, this is not a watch for the small wristed, but Ferro has put that space to good use with a textured dial, applied and polished markers, and an embossed small seconds counter. 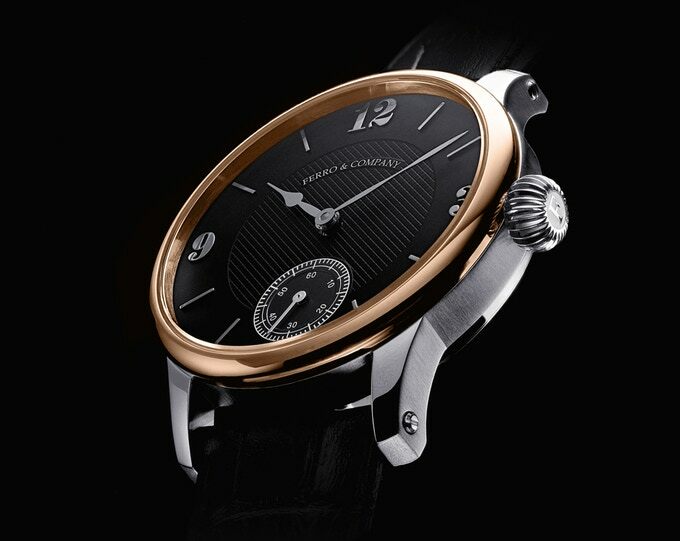 There are two models (Arabic and Roman) in three dial colors. An 18k rose gold bezel is optional, and yes, it is solid gold, not a plating. All versions have sapphire glass front and back, and leather straps secured with screw bars and a deployant clasps. Early Bird rewards are still available for $749 CAD ($606 USD) or $3,500 CAD ($2,833 USD) for the 18k limited edition. See the Kickstarter page for more. The campaign ends March 8, 2018, at 10:00 pm EST.